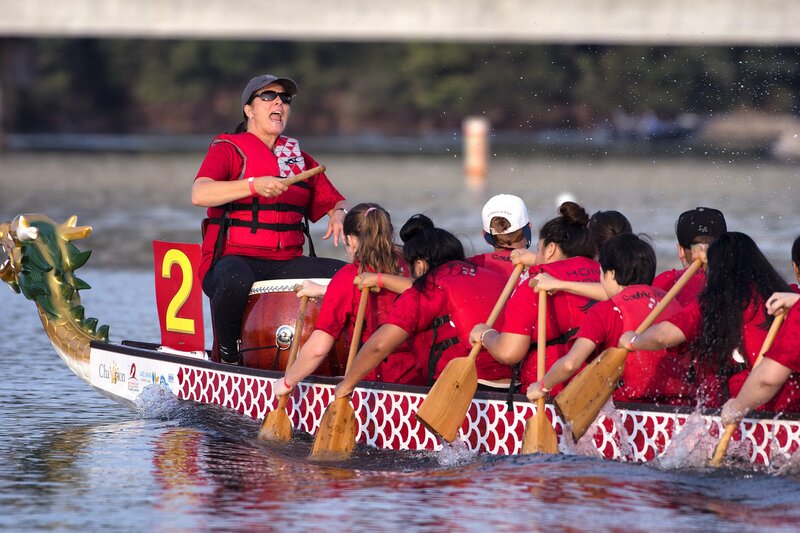 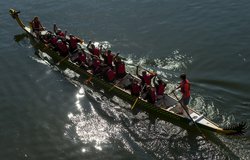 A dragon boat team from Gainesville High School competes during the annual Atlanta Hong Kong Dragon Boat Festival on Saturday, Sept. 8, 2018, at Lake Lanier Olympic Park. 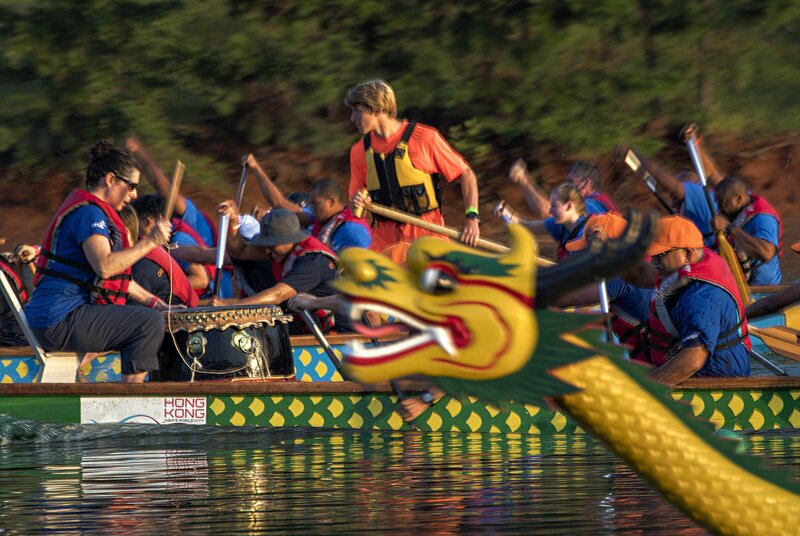 The Lanier Canoe and Kayak baby dragons team competes during the annual Atlanta Hong Kong Dragon Boat Festival on Saturday, Sept. 8, 2018, at Lake Lanier Olympic Park. 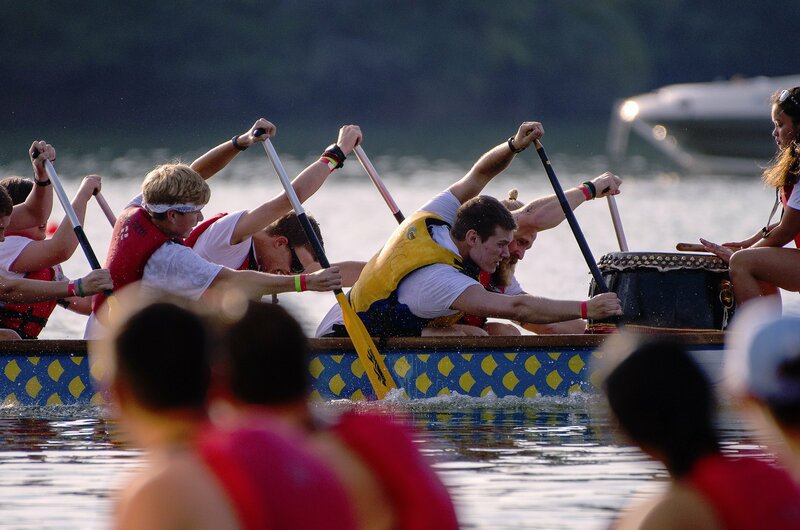 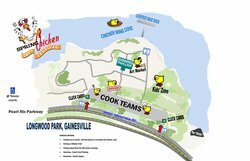 Teams compete in dragon boat races Saturday, Sept. 8, 2018, at Lake Lanier Olympic Park during the annual Atlanta Hong Kong Dragon Boat Festival. 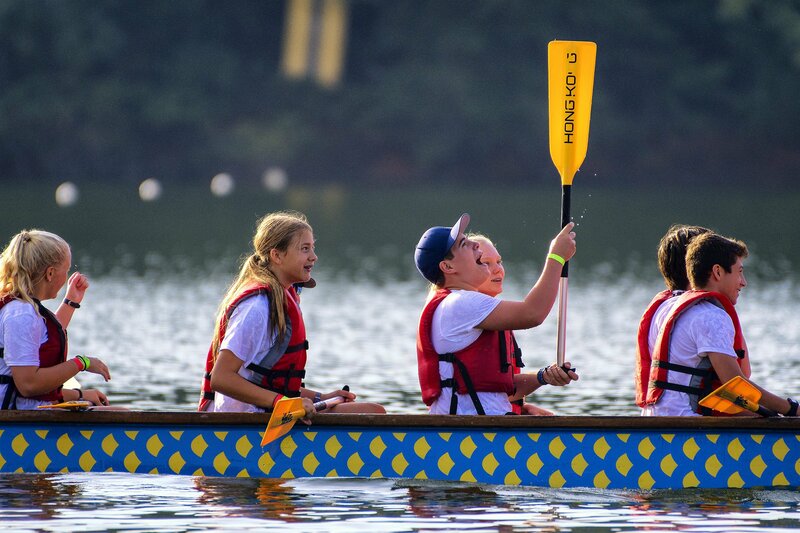 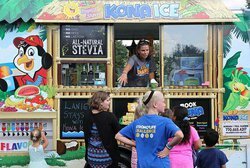 The Lanier Canoe and Kayak baby dragons team celebrates a win during the annual Atlanta Hong Kong Dragon Boat Festival on Saturday, Sept. 8, 2018, at Lake Lanier Olympic Park. 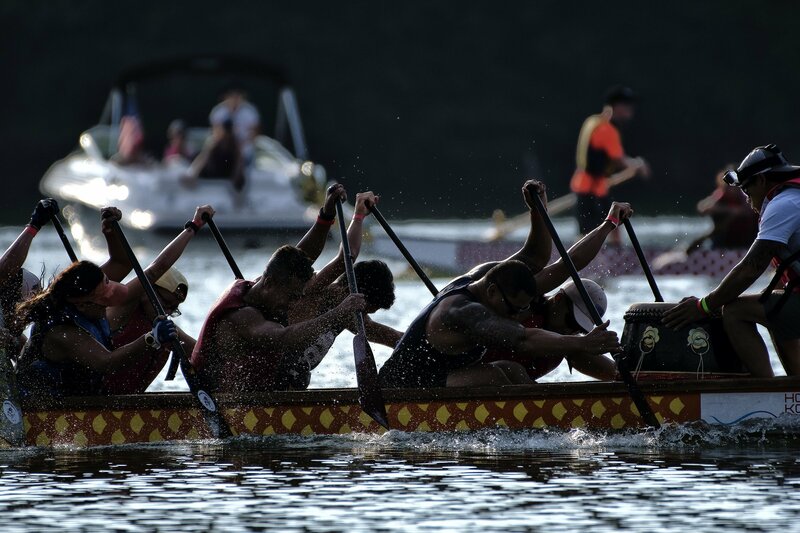 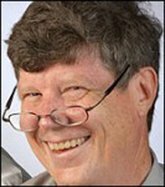 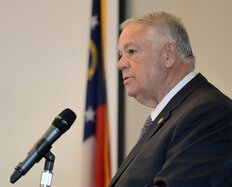 The Mekon Dragons team competes Saturday, Sept. 8, 2018, during the annual Atlanta Hong Kong Dragon Boat Festival at Lake Lanier Olympic Park. 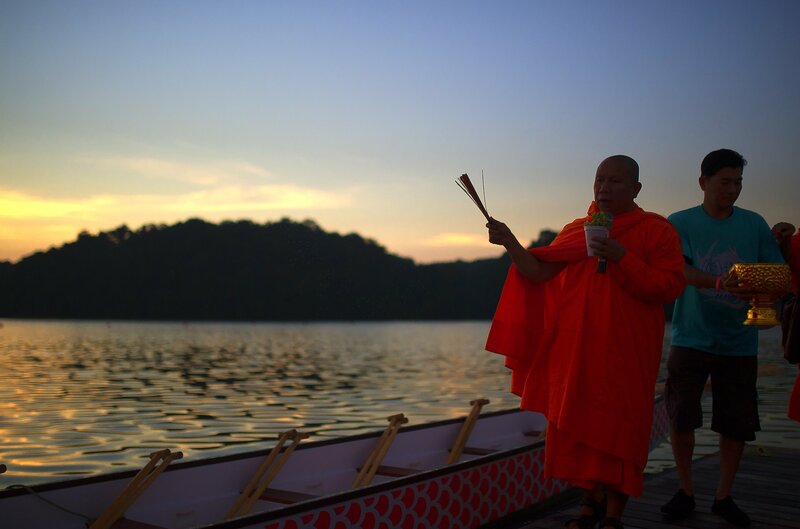 A Buddhist monk blesses dragon boats Saturday Sept. 8, 2018, at Lake Lanier Olympic Park to begin the annual Atlanta Hong Kong Dragon Boat Festival. 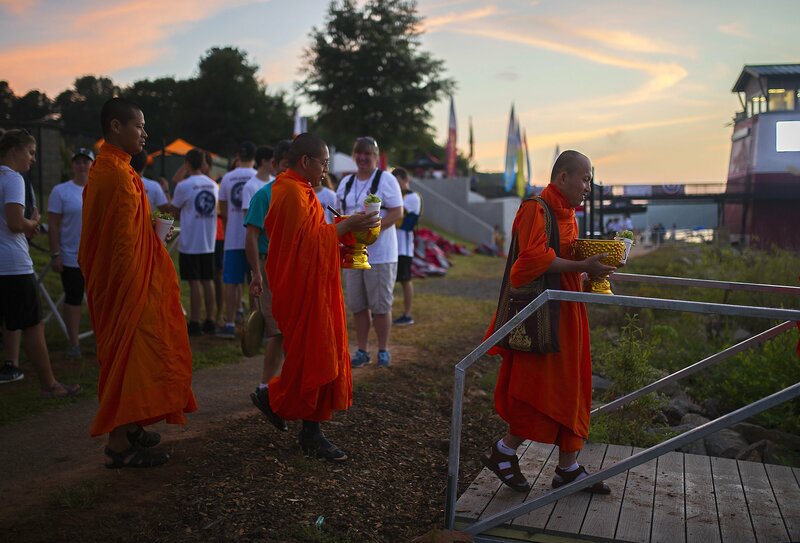 Buddhist monks prepare to bless the dragon boats Saturday Sept. 8, 2018, at Lake Lanier Olympic Park to begin the annual Atlanta Hong Kong Dragon Boat Festival.